Gold Coast No1! Australian Immigration Specilist! Australian Education and Visa (AEV) Centre is a professional migration agency established in 2006. We provide educational recruitment and migration services to clients across Australia and internationally. 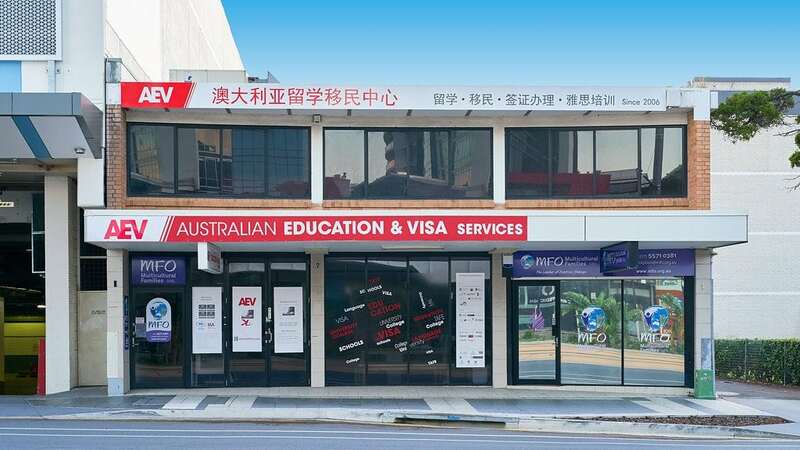 Over the years, AEV Centre has built and maintained a reputation among educational institutions and overseas students as a leader in the international education and Australian migration industries. Our priority is to provide accurate, personalised advice and assistance to our clients. We also offer extra support, such as locating suitable colleges and schools for students, making arrangements for accommodation, organising travel, to name only a few. We continue to set the benchmark in the international education and Australian migration industry. As a dynamic organisation, we endeavour to maintain and strengthen our commitment to providing quality visa and educational services. At AEV Centre, we have over 10 years of experience providing professional education and migration services to our clients. We’ve successfully helped hundreds of clients from all over the world complete their applications to live, work and study in Australia. We hire only the best professionals and maintain high standards and practices in accordance with the Department of Immigration and Border Protection. We’re committed to providing you with answers to your questions in a professional, timely manner. We establish lifelong business relationships with our clients to ensure they have the support they need.